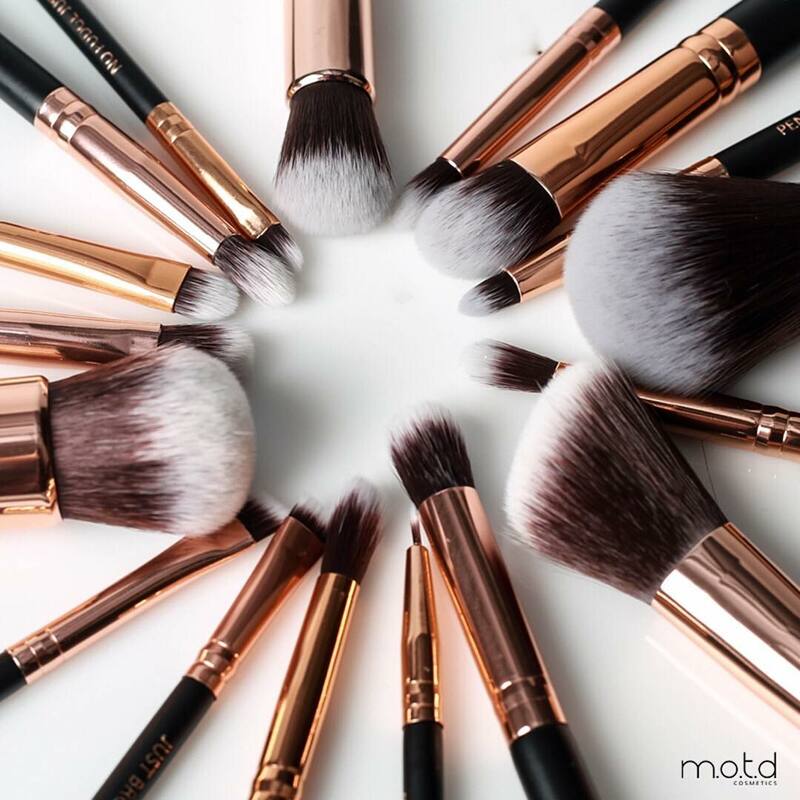 Over 44% percent of us don’t know which brush to pick while doing your makeup. Motd decided to be different and went against the industry standard. 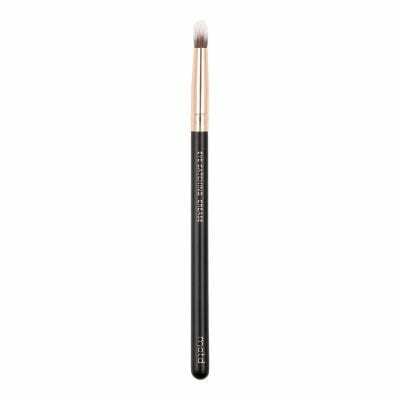 MOTD Cosmetics is the first brand to label makeup brushes that become your personal assistant right at your fingertips. Their bossy makeup brushes tell you what they do! Other than being completely creative. 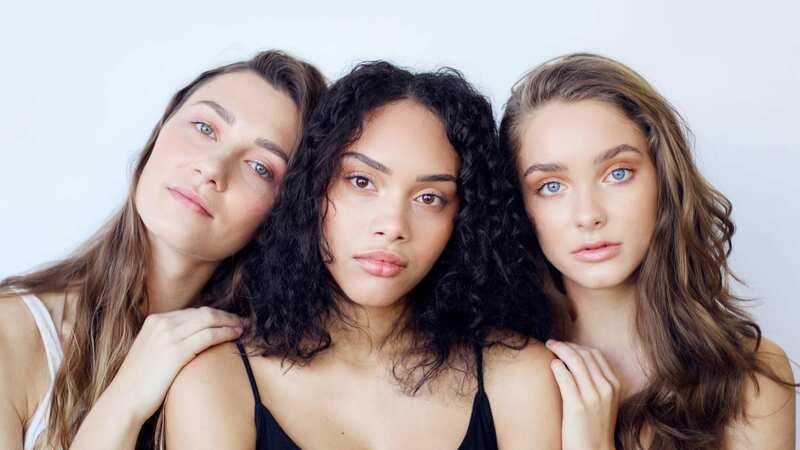 PETA certified cruelty free vegan. 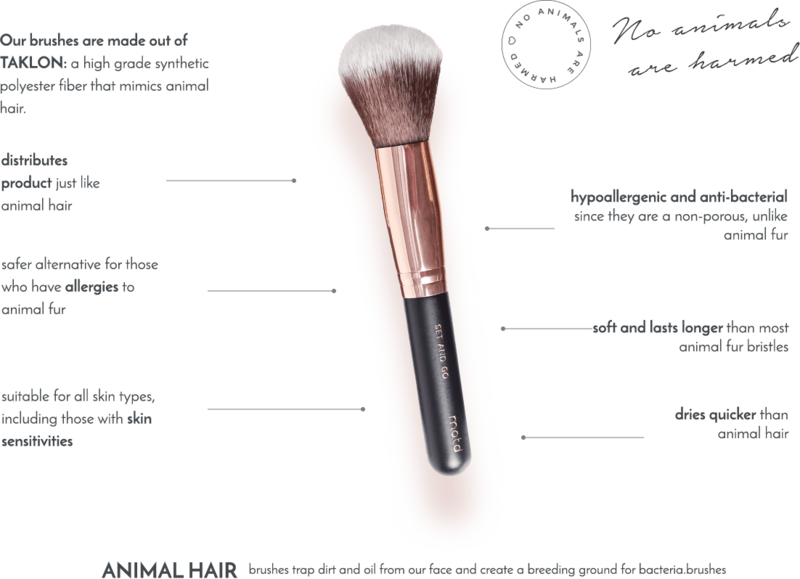 Made from Synthetic Taklon, these brushes are antibacterial and hypoallergenic. 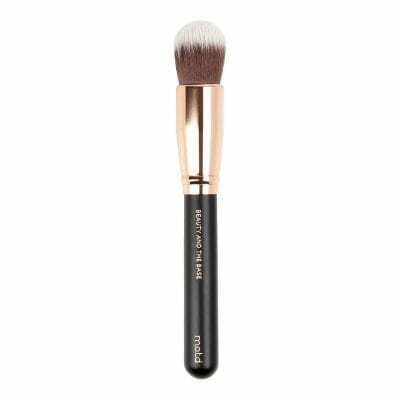 MOTD brushes are extremely soft and long lasting, great for those with sensitive skin. Makeup of the Day Cosmetics believes anyone can be a makeup artist and to accomplish that, it starts with brush strokes. 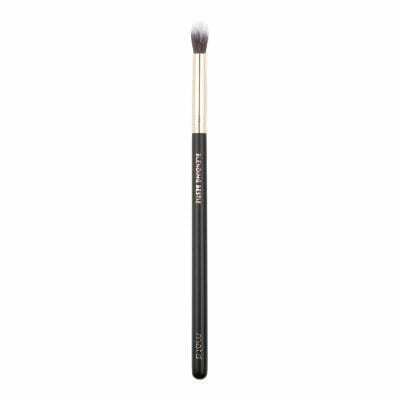 They are committed to providing the highest quality artistry brushes at an affordable price. 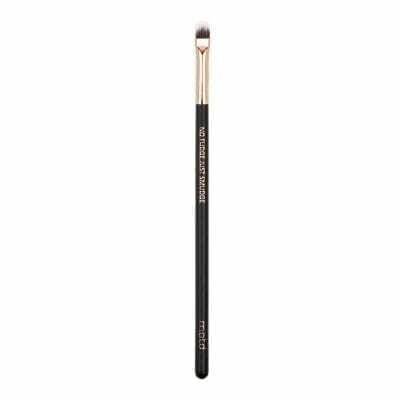 These brushes address any makeup enthusiast with questions on application techniques. 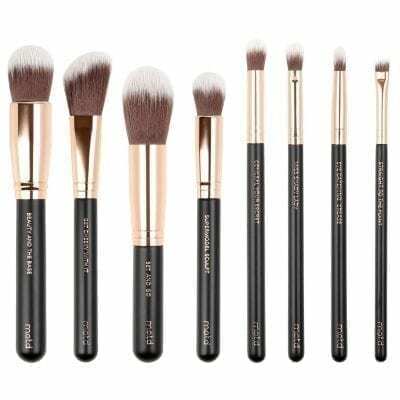 Purchase the sets or try an individual brush. 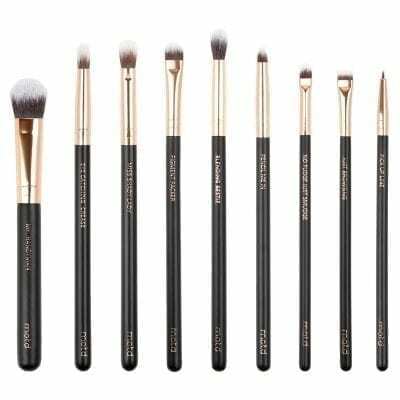 Motd vegan brushes look absolutely stunning with chic black and rose gold.